This ministry guide has been written to provide information about how to provide support ministry to the people with whom you work. This guide is also for people who work in many different ministry settings, a church or denominational administrative office, a small or medium size church, a parachurch or missions focused organization, and large churches. It will assist them with how they look at their ministry, and the level of support that is needed for their particular setting. A call to ministry is an important thing to understand for an administrative assistant; your heart and the way you deal with people and tasks are different if you understand your position as a call to ministry rather than a job for a paycheck. If you understand that you represent not just your pastor and your church, but Christ to every person who calls, stops by, e-mails, etc., you approach your tasks and people differently. Working as the assistant to a pastor, or any person in ministry, you have to approach your tasks with an understanding of who you are serving, and you are serving Christ and his people. 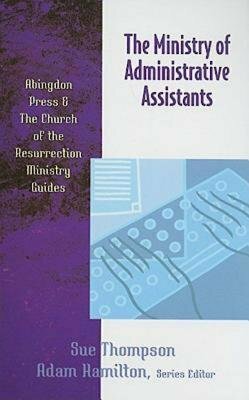 The position of Administrative Assistant is a vital part of the over-all ministry of your church and the congregation. You are the gate-keeper, bridge-builder, keeper of the "information," soother of wounded feelings, and the deliverer of unwanted news. You are the person who has your finger on the pulse of your congregation and your community. You are the person people will come to for answers. 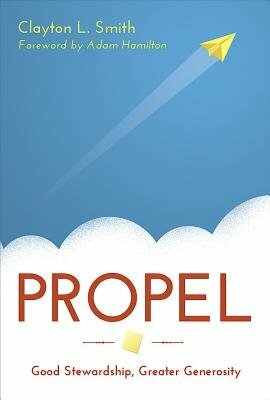 You will handle thousands of details related to dozens of different projects and commitments for your pastor. You will help make your pastor's ministry seamless. While all of these descriptions may make your head spin, this is a part of the ministry of being an assistant. You can look at each day as a challenge or an adventure. If you understand your job as a ministry and understand your call to this ministry you are ready for a great adventure. Begin each day with a prayer for wisdom and strength, surrender your mind and will to God, and prepare yourself to work with the heart of a servant. As Christ walks alongside you in your daily life, you will learn to walk along side your pastor and to be a partner in their ministry. 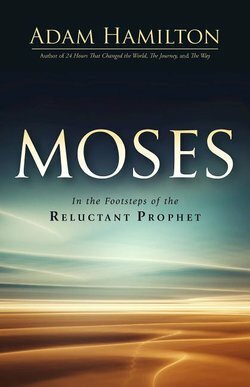 Retrace the life of Moses from his modest birth and rescue as a baby to the courts of Pharaoh, from herding flocks in Midian to leading his people out of Egypt. Join Adam Hamilton as he travels from Egypt to Mt. Sinai, the Nile, the Red Sea and the wilderness exploring the sites of Moses' life. 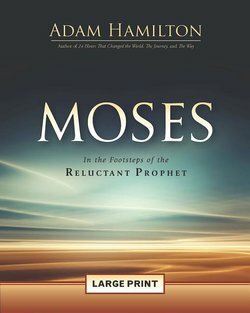 Using historical information, archaeological data, and biblical text, Hamilton guides us in the footsteps of this reluctant prophet who grew in his relationship with God and by the end of life had successfully fulfilled the role he was given. 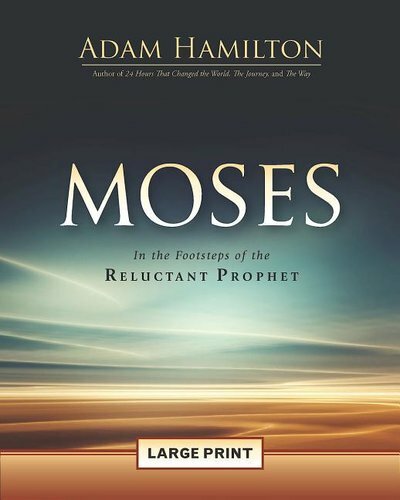 Turn your own reluctance into boldness as you examine the significant challenges facing Moses and how God shaped his character and life in powerful ways. Additional components for a six-week study include a comprehensive Leader Guide and a DVD featuring author and pastor Adam Hamilton. For a church-wide study, youth and children resources are also available. Through original video clips filmed on location in Egypt – including the pyramids, Luxor, the Nile River delta and the Sinai wilderness – this seven part sermon series attempts to let you encounter the places where the story of Moses and the Exodus took place. 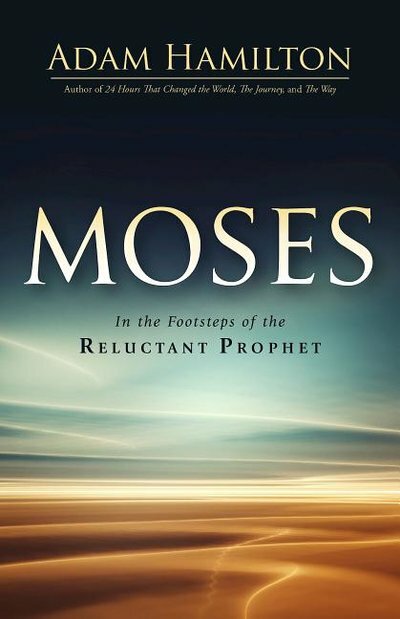 Each sermon explores how the remarkable story of Moses continues to speak to our lives today. Experience this exploration of the footsteps of Moses! What if Jesus actually meant what he said, when he invites us to love our neighbors? What does this look like? Who are your neighbors? Do you know them? Do you love them? Wherever you live, whatever you do, you are a neighbor to someone. This three-week series of sermon messages from Pastor Scott Chrostek of The United Methodist Church of the Resurrection Downtown campus explores the “Art of Neighboring” and dives deep into what it looks like to transform the world by simply becoming a good neighbor. July 24, 2016 - What if Jesus Really Meant What He Said? Imagine Jesus from Mary’s point-of-view—proud of her son, in awe of his gifts and mission, guided by love for him as a person and so much more. 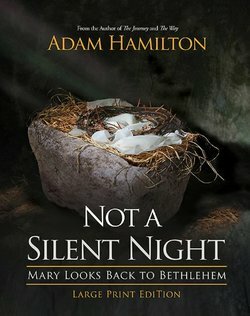 Adam Hamilton begins at the end, with Mary at the crucifixion and resurrection; travels back in time as she witnesses his life and ministry; and ends at the beginning, with the Christ child born in a stable, Mary’s beautiful baby. This year, experience Advent and Christmas with Mary. Imagine Jesus from Mary’s point-of-view—proud of her son, in awe of his gifts and mission, guided by love for him as a person and so much more. 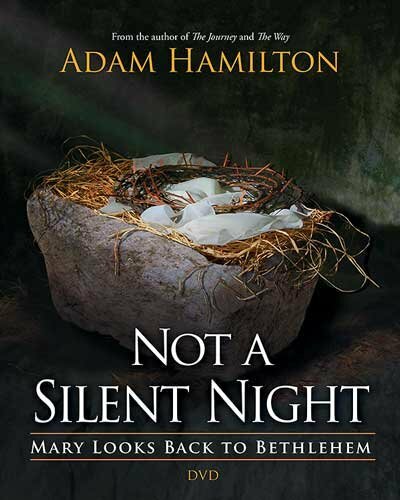 In this book, Adam Hamilton begins at the end, with Mary at the crucifixion and resurrection; travels back in time as she witnesses his life and ministry; and ends at the beginning, with the Christ child born in a stable, Mary’s beautiful baby. 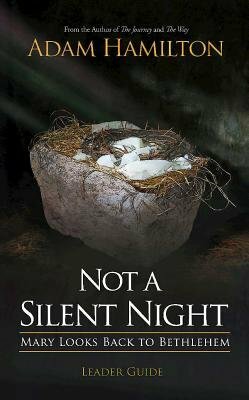 This year, experience Advent and Christmas with Mary. Imagine Jesus from Mary's point-of-view--proud of her son, in awe of his gifts and mission, guided by love for him as a person and so much more. Adam Hamilton begins at the end, with Mary at the crucifixion and resurrection; travels back in time as she witnesses his life and ministry; and ends at the beginning, with the Christ child born in a stable, Mary's beautiful baby. This year, experience Advent and Christmas with Mary. Imagine Jesus from Mary's point of view--proud of her son, in awe of his gifts and mission, guided by love for him as a person and so much more. 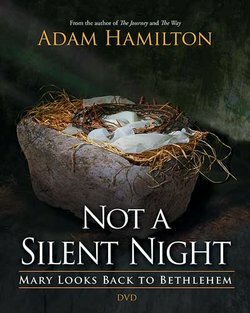 In this book, Adam Hamilton begins at the end, with Mary at the crucifixion and resurrection; travels back in time as she witnesses his life and ministry; and ends at the beginning, with the Christ child born in a stable, Mary's beautiful baby. This year, experience Advent and Christmas with Mary. We celebrate God’s majesty on the mountaintops and draw upon God’s strength in tragedy, but most of our life is spent somewhere between the extremes. How can we live our daily lives filled with God’s power and presence? How do we find God in our day-to-day situations? We celebrate God’s majesty on the mountaintops and draw upon God’s strength in tragedy, but most of our life is spent somewhere between the extremes. How can we live our daily lives filled with God’s power and presence? How do we find God in our day-to-day situations? Scott Chrostek leads us to explore these questions and more. In a recent survey, 80 percent of Americans say they have prayed at one time. Yet, we struggle with prayer. Does God hear us? Is God tired of our pleas? Do our words seem superficial? Does prayer matter? How do we pray? August 26, 2018 Whose Will Be Done? Many of us lead quiet lives of desperation. Longing for purpose, we look to the material world--jobs, money and belongings--to secure meaning for ourselves. Instead we only perpetuate the feeling that a full and significant life is beyond our grasp.Can you relate to this?You are not alone. Through story and Scripture, author Scott Chrostek takes us on a pilgrimage to explore the true meaning and purpose of our existence. Pursuit challenges us to participate fully in God's mission in the world. To do so, we live counter-intuitively--by committing everything we have to God and others, we actually reclaim our freedom and identity.Are you ready to find life? Let the pursuit begin. The Abingdon-Church of the Resurrection Ministry Guides are the first choice for recruiting, motivating, and developing lay leadership for specialized ministries from A to Z—from adult ministries to ushering. Each inexpensive, 64-page Guide brings together Church of the Resurrection’s can-do attitude with Abingdon Press’s ministry of empowering church leaders. The result is a series that is user-friendly, encouraging, and most important, practical. The passion to help churches experience how many things they can do to encourage participation drives these Ministry Guides. Each Guide is concise, conversational, and current, full of ideas you’ll be able to implement immediately, with little or no budget. Recognizing that volunteers are busy people who work hard, the Guides will be the first place to turn when you’re new to a topic, to help you feel empowered, prepare quickly, and get up and running with confidence and creativity. You’ll find eye-catching icons and features that help you move directly to practical, fun, and effective solutions. An excerpt from the Circuit Rider review: "This little guide, another in the series out of The Church of the Resurrection in Leawood Kansas, will be helpful to churches large, medium and small desiring to develop and expand lay participation in all aspects of congregational life and work. Dan Entwistle, managing executive director for programs and ministries at The Church of the Resurrection, writes out of years of experience in recruiting, training and deploying laypeople for ministry. His book will be no less valuable to UMM and UMW units, campus ministries, conference and district staff and church-related non-profits." For more than 2.000 years, the interaction of light and color in stained glass has told sacred stories and created a sense of reverence, wonder and awe for worshippers. This is the story of one such interaction, but this one is of profound size—The Resurrection Window, a magnificent work of art that combines techniques from the seventh century with the technology of the twenty-first century. This book details the journey of this two year-long effort. 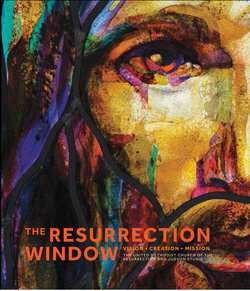 Using vivid narrative and hundreds of detailed, richly colored images, The Resurrection Window: Vision, Creation, Mission follows the making of the 100-foot-wide stained glass masterpiece . . . from concept to its installation as the focal point of the sanctuary of The United Methodist Church of the Resurrection. From the sanctuary’s soaring roofline, to the generous use of native limestone and natural wood, to the symbolism of the building’s striking exterior, the book explores how every element in the innovative design provides a most-appropriate setting for the breathtaking window. We invite you to enter this story. 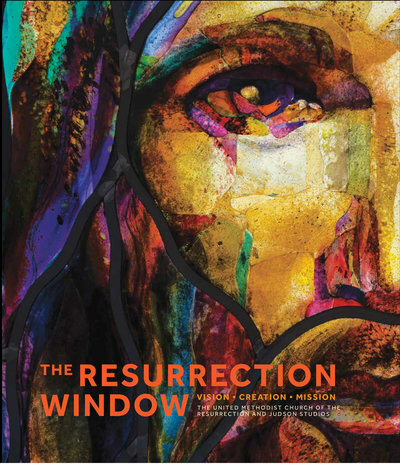 Meet the collaborative visionaries, learn of the design process, see the development of innovative glass techniques, and discover how an interplay of story, color, and light can transport you into the presence of God. This six-session DVD features Adam Hamilton guiding us through a six-week Bible study tracing the life of John Wesley throughout England. This study will deepen people's faith by calling them to a devout and holy life while defining what the Christian life looks like through the eyes of a Wesleyan Christian. All video sessions are closed captioned and run approximately 10-15 minutes each. All sessions are closed captioned. Society was polarized in the 1700's. Rationalism had led people to believe they no longer needed God. The rich struggled with materialism and the poor with lack of necessities. It was at just that time that an Anglican priest and professor at Oxford named John Wesley came to trust in Christ. He preached a faith that would bring a revival of Christianity throughout the British Isles and across America. 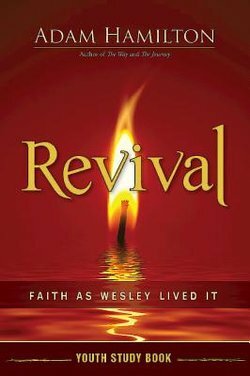 Wesley's message and his faith continue to speak to 21st Century Christians. This six part sermon series calls for a revival of our hearts and souls so that our lives and our world might be changed. Join Adam Hamilton for a six-week journey as he travels to England, following the life of John Wesley and exploring his defining characteristics of a Wesleyan Christian. Wesley's story is our story. 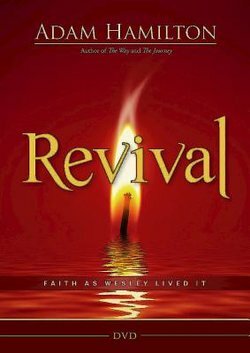 It defines our faith and it challenges us to rediscover our spiritual passion. 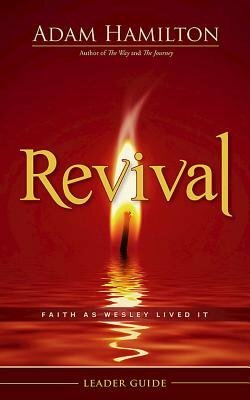 The Leader Guide contains everything needed to guide a group through the Revival Bible study program. Includes session plans and discussion questions, as well as multiple format options. Everything needed to conduct a six-week study and help youth grades 6-12 define what the Christian life looks like through the eyes of a Wesleyan Christian. Can be used with the adult-level DVD.